The international political response to climate change began officially in 1992 at the Rio Earth Summit, where the United Nations Framework Convention on Climate Change (UNFCCC) was adopted. The Convention’s objective was to stabilize atmospheric concentrations of greenhouse gases (GHGs) to avoid anthropogenic interference with the climate. The UNFCCC has a membership of 195 parties. 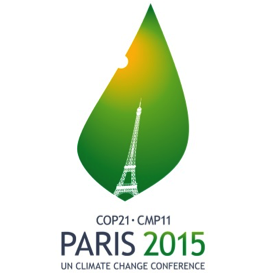 The main objective of the annual Conference of Parties (COP) is to review the UNFCCC’s implementation. At the third COP meeting in 1997 the Kyoto Protocol was adopted. In 2009, at COP 15, an agreement for a plan to replace the Kyoto was not realized, and it expired. I had hoped that last year’s COP 21 (also known as the Paris Climate Summit) would achieve a legally binding agreement on climate, with the aim of keeping global warming below 2°C (2 degrees Centigrade). This did not happen. A week after Christiana Figueres’ talk, the International Energy Agency (IEA) released its World Energy Outlook 2015, which pointed out that the COP pledges made to date would mean a warming to 2.7°C. Dr. Fatih Birol, head of the IEA, emphasized that these were pledges, not firm commitments. The IEA had released an earlier report in June of 2015, developed specifically for the COP 21 meeting, Energy and Climate Change – World Energy Outlook Special Report. This 200-page report and the 700-page World Energy Outlook 2015 report contain enough data to keep an educated layperson involved for some weeks. But such an effort would likely leave the reader wondering if even a limit of 2.7°C is possible. There were 15,000 official delegates at COP 20 in Lima, Peru in 2014. The Paris conference included 25,000 official delegates from government, intergovernmental organizations, UN agencies, NGO’s, and civil society. There had been plans for thousands of other groups and ordinary people to attend and to march, protest, or take other actions to emphasize the need for quick and radical action. However, many of these were not held due to security considerations created by the terrorist attack in Paris a short time before the conference began. This effort is a massive one, but the problem being addressed may be even more massive. It seems that most people hope for some kind of global warming relief by two main paths. The first is efficiency; the second is renewable energy. These two approaches are basic to the mission of the IEA. I watched some of the activists speak from Paris, among then Naomi Klein author of “This Changes Everything.” She emphasized the need for the world to be 100% renewable as soon as possible. I speculate that Fatih Birol would agree with her. In fact, in his press conference, journalists made points similar to those of Naomi Klein. At one point Fatih noted that solar PV does not provide 10% of total world energy, nor does it provide 5% or 2% or even 1%. I was so surprised by this that I wrote the IEA asking for an explanation for his statement. Brent Wanner, Power and Renewables Analyst for the World Energy Outlook Team, respond and gave me the sources for Fatih’s comment. I finally realized that on a worldwide basis solar PV, in spite of its recent very rapid growth, provides less than 1% of the world’s total energy. Renewables are improving in efficiency and costs are decreasing but volume shipments remain relatively low compared to the need. I doubt if the delegates in Paris were harboring such revolutionary ideas as reducing energy use outside the provinces of efficiency and renewable energy. Such delegates were likely members of the energy consuming elite and probably have a higher standard of living than most of the world. So their personal hopes will also be on efficiency and renewable energy, just like the IEA and the activists. Corporations, universities and government agencies typically acclaim the merits of these two dominant ideas as well. I do not see “curtailment,” a focus on immediate reductions of energy consumption, being considered. Yet the essence of the Paris conference is that we cannot meet the goal of holding to a maximum 2°C temperature rise. Consider two items of note – electric cars and green building. Electric cars are divided into battery only vehicles and plug-in hybrids, both referred to sometimes as “plug-ins.” In the U.S. plug-in sales have plateaued and are beginning to decline. Surprisingly, something similar has happened with hybrids. In the last three years – 2013, 2014, and 2015, the percent of the total new car market in the U.S. captured by these three classes of alternative vehicles has been declining – from 3.4% in 2012 to 2.9% in 2015. On average these three types of cars generate close to half the CO2 emissions of conventional gasoline cars. According to the US Department of Energy, the pounds of CO2 generated per mile is 0.99 lbs. for a conventional car, 0.61 lbs. for a plug-in hybrid, 0.54 lbs. for a battery electric vehicles, and 0.51 lbs. for a hybrid car (http://www.afdc.energy.gov/vehicles/electric_emissions.php). An almost 50% cut in emissions is impressive – yet the sales for the three types of vehicles have plateaued at about 3% of total annual car sales in the U.S. Why? One reason is that the efficiency features of these cars include reduced size and less rapid acceleration. This brings up a principle – efficiency may be good but if style and “fun to drive” are compromised, then the less efficient vehicle will be purchased. Thus it matters little what the government does if the vast majority of people are going to make their decisions on emotional likes and dislikes. One of the reports presented at the Paris conference was, Fuel Economy State of the World 2016 prepared by the Global Fuel Economy Initiative. The report showed how little has been accomplished in terms of vehicle fuel economy in recent years. A similar example can be made for homes. The DOE and EPA as well as private organizations such as the National Home Builders Association and the US Green Building Council have been designing and constructing homes for a very long time. Yet sales of so called green or energy efficient buildings have – like electric cars – also peaked and are now in decline. In 2005 9% of new residential structures were designated either green or energy efficient. This increased to 28% in 2011. It decreased to 17% in 2014 and preliminary numbers show an additional decline in 2015. Note this does not imply a corresponding decrease in emissions. Green and Energy Efficient buildings may reduce CO2 by 15-30%, which means that in 2014 for example, 83% of residential homes and apartments had no CO2 reduction, 17% had an estimated 20% reduction so the total savings was only about a three percent reduction. Unfortunately, much of this savings must be discounted since the average home is much larger each year. Cars and residence efficiency options are not going to make a difference until legislation is passed, forcing a change. Efficient products and cars are available but Americans are not buying them. We know how to construct buildings that use 80-90% less heating and cooling energy. But they cost more. We know how to make 55-mpg cars but they are somewhat smaller and also cost more. There are other examples, one being coal fueled power plants. More efficient ultra-supercritical power plants can be built but they cost more so less efficient subcritical plants are still being built in the third world. Economics is a driving factor in purchase decisions and this economics comes from a growth oriented consumer mindset. As long as the developed world culture is based on the values of consumerism, then the third world will continue to seek to emulate the high-energy societies.